The Nike React Phantom Vision Pro Dynamic Fit IC provides the precise touch and durability. A foot-hugging bootie is bolstered with a tough-textured overlay and Nike React technology to create a boot for the courts, the cages and the back-alley pitches of tomorrow's game. The Nike React Phantom Vision Pro Dynamic Fit IC provides the precise touch and durability. A foot-hugging bootie is bolstered with a tough-textured overlay and Nike React technology to create a boot for the courts, the cages and the back-alley pitches of tomorrow&apos;s game. 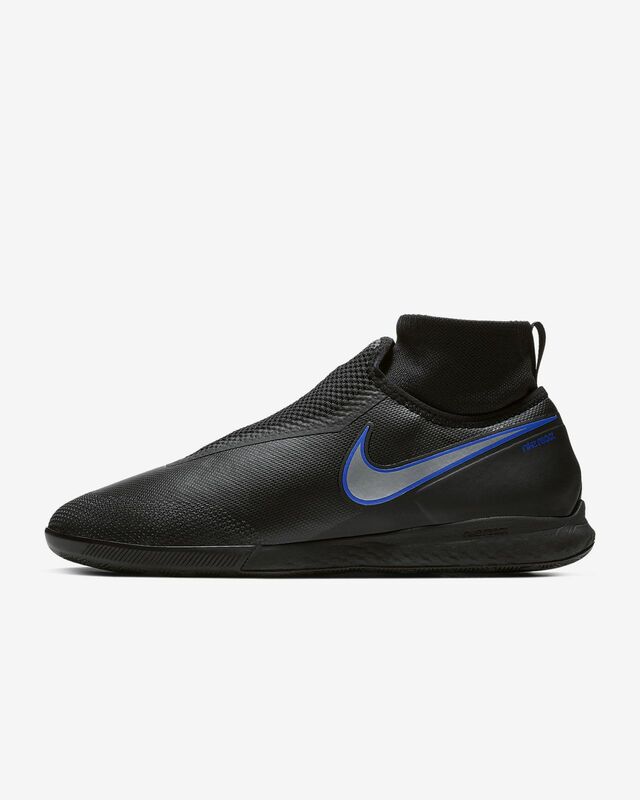 This shoes looks so nice. The the grip is the best . Caveat: I've only worn them for one practice. These grip nicely and fit great. The cushioning is just enough: not too soft, cushy, or flexible. I was able to do all my standard moves without any sense of foot or ankle roll. Just a nice little bit of cushioning when planting to lessen the wear and tear on my feet and lower legs. These seem to run a half size small. I'm a 9.5 to 10 US guy. Size 9.5 is usually tight and 10 is usually about right. 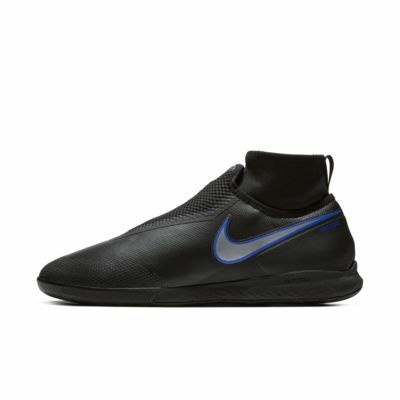 These are the first soccer shoes I've ever worn a 10.5 US in... and it feels just like my size 10 US Tiempo indoor shoes. Also the upper is really nice feeling on the foot and juggling the ball and shooting feel great. I'm a big fan of these. I've probably worn 8-9 different indoor soccer shoes before and these are my new favorites. Some much needed cushioning with no compromises in other qualities. I highly recommend these.